If you follow me on Instagram then you know I recently spent a week road-tripping with my partner through Oregon, with a focus near Newport on the coast. I’ll be putting up more posts over the next week with tons of pictures as well as in-depth details from our explorations. Today I’m starting out with a quick round-up of where we camped and hiked, along with links so you can plan your own trip in the area. 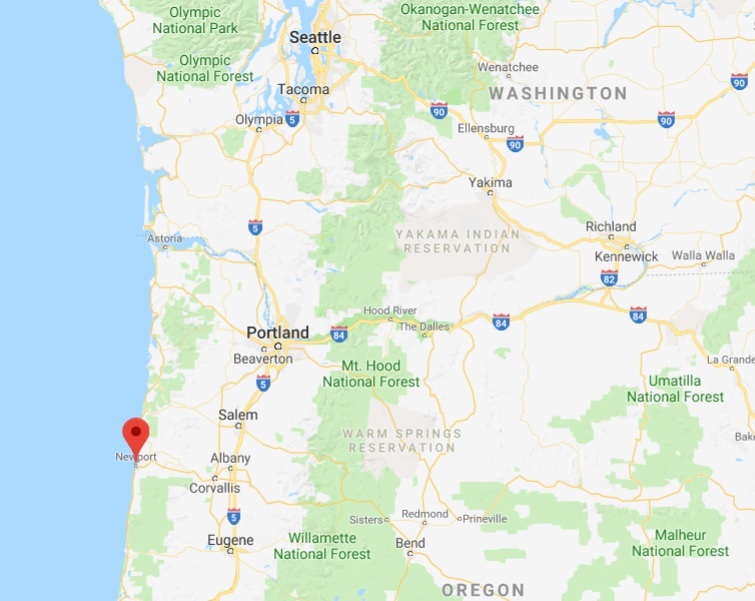 We started in Coos Bay, which is about two hours south of Newport; at Coos Bay, we turned north on highway 101 and spent a full day driving up to our campsite so we would have plenty of time to stop and take in the sights. We spent a second day taking in sights north of Newport. I definitely recommend giving yourself two to three days to fully take in all this area has to offer! Keep in mind that our trip was by car, but the area is also very accessible to those traveling by motorcycle, RV, bicycle, or on foot. Also be aware that park and camping fees vary widely based on your mode of transportation. At the end of this post I’ve included several different options for traveling to Newport from a variety of major PNW cities, whether you’re heading south, north, or west. 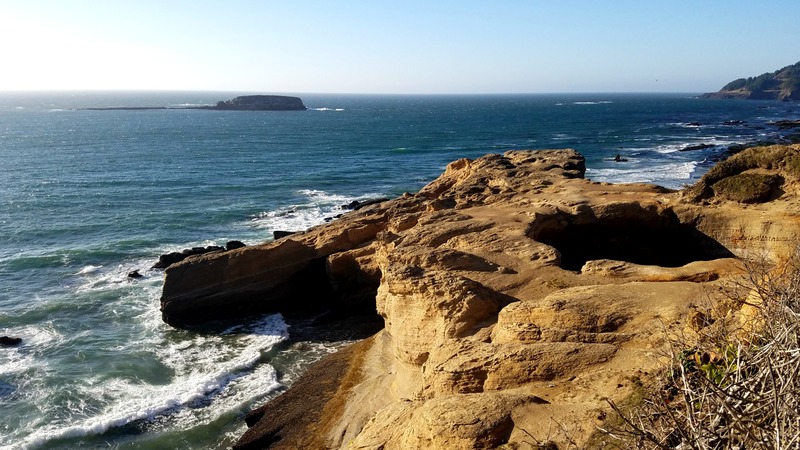 Following coastal highway 101 near Newport, you’ll run into several gorgeous places to stop and hike, explore the beach, or visit tourist attractions. There are towns all along the coast offering locally sourced dining and shopping, but since we had our dog with us, we didn’t make many stops in the towns. Since we started in Coos Bay and drove north, I’m listing here several of the stops we made that I think you should definitely check out. 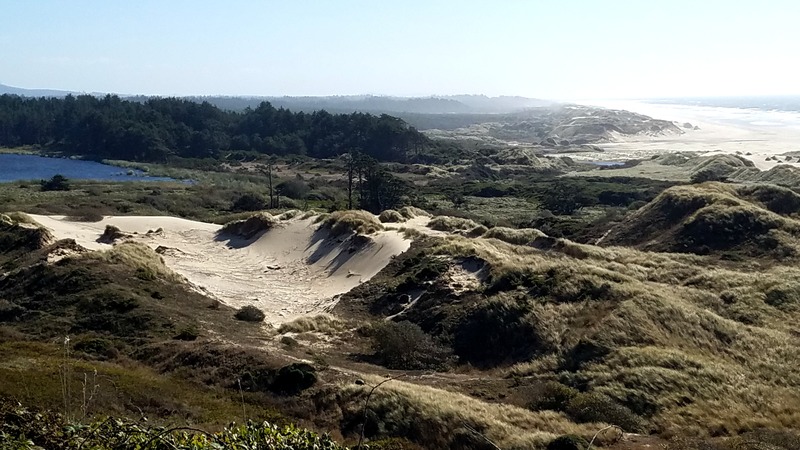 Once you leave the Coos Bay area heading north on highway 101, I definitely recommend exploring the Oregon Dunes National Recreation Area, which extends some forty miles between Coos Bay and Florence. Go hiking and beachcombing, rent a sandboard at a local park, or rent a dune buggy to explore the vehicle-friendly trails that run all along the coast. You can also swim or try water sports like kayaking and surfing. Drive just a few minutes further north from the Sea Lion Caves, and you’ll come to one of my favorite hiking spots along the coast: the Hobbit Trailhead. It’s easy to miss, as it’s marked only by pull-out parking along the highway just north of Heceta Head State Park and a humble sign noting the trail. From the trailhead you have two options: a 1.5 mile hike to the Heceta Lighthouse, or a half mile trail leading to Hobbit Beach. 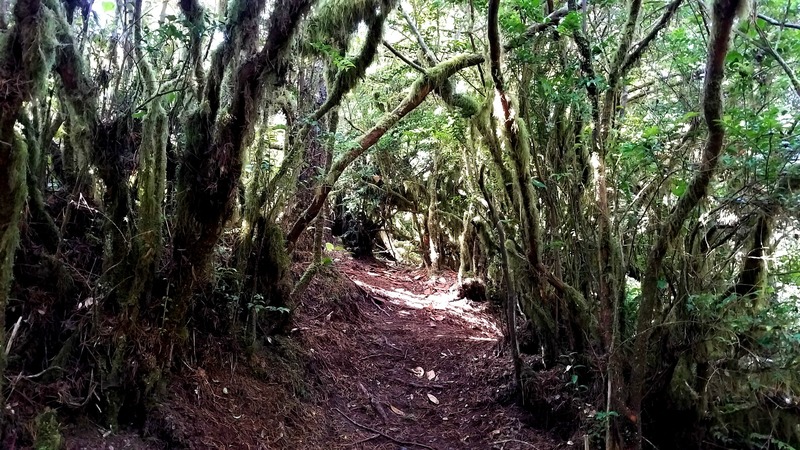 While the trail is short, it isn’t easy: it’s a steep climb down and then back up, but it winds through a gorgeous forest of Sitka spruce with tunnels through the trees and brush that seem like they might house small magical woodland creatures. (Hence, the name of the trail!) I’ve put up another post with more pictures of the trail + our other beach combing adventures if you’re interested! 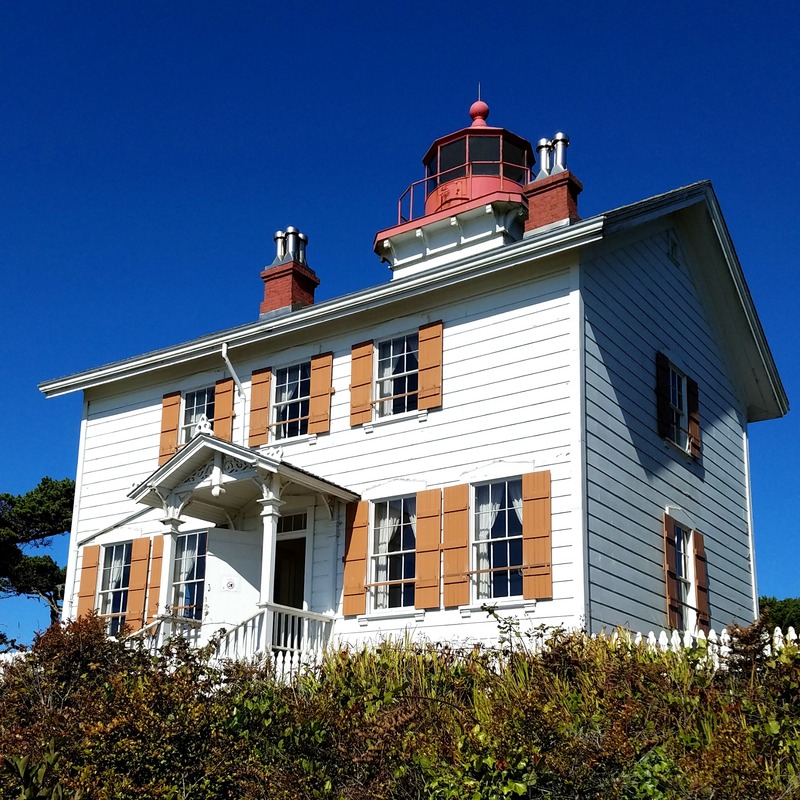 Just south of Newport, I recommend visiting Yaquina Bay, where you can visit the Oregon Coast Aquarium or tour the historic Yaquina Bay Lighthouse, first lit in 1873. It’s believed to be the oldest structure in the Newport area, and is the only historic wooden lighthouse still standing on the Oregon coast. The lighthouse is open to the public from 11 am to 4 pm in the summer and from noon to 4 pm October to Memorial Day; it is closed on major holidays, and on Mondays and Tuesday November through February. Entrance is free by donation. There are no guided tours, but the staff at the lighthouse are happy to answer questions and offer tidbits about the history of the lighthouses in the area. 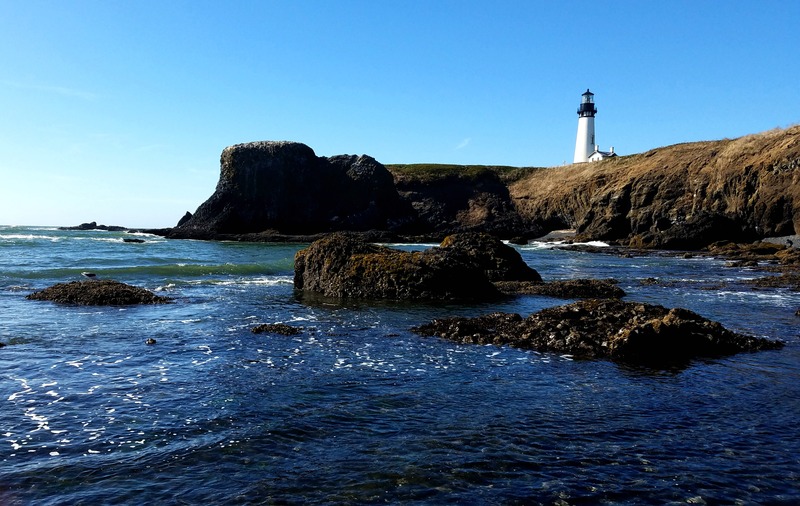 About ten minutes north of Newport is the can’t-miss Yaquina Head Outstanding Natural Area. If you don’t have a federal park pass, there is a $7 fee for a day pass. The park opens at 8 am and generally closes at sunset (check the website, as times can vary depending on the time of year); the interpretive center is open 10 am to 4 pm in the winter, but stays open a bit later in summer. Lighthouse tours are guided by park rangers. The cliffs around the lighthouse offer whale watching and gorgeous coastal views, but be aware: the wind is intense and it can be much colder at the head than on the beaches, so bring a coat! Down on the famous black rock beach, you can explore tidal pools or watch seals swimming near the beach. You can see more pictures and info on Yaquina Head here! The final spot we visited on our trip was Otter Rock, near Depoe Bay (about fifteen minutes north of Newport). There are multiple options for recreation here, but my pick is the Devil’s Punchbowl State Natural Area. Admire the natural rock formations from above at high tide, or follow a short trail down to the beach at low tide and hike inside the Bowl, explore the sea caves, or wander in the shallow tidal pools. I have tons of photos from this hike in a much longer post over here! While campgrounds and lodging are abundant along the Oregon coast, finding a place that is available + affordable + to your personal tastes can be difficult due to the large crowds, especially at peak times such as summer or the weekend. Newport is busy year-round so I recommend booking lodging and attractions ahead of time if at all possible. While camping fees vary by park, expect to pay about $20 a day for tent camping, which also gives you day access to state day use areas. If you’re looking to camp near Newport, my top picks are South Beach State Park and Beachside State Park. Reserve spots through Reserve America—at South Beach, I highly recommend sites H-14-20 for tent camping toward the quieter, treed rear of the park, and at Beachside, site 63 offers prime beach access. 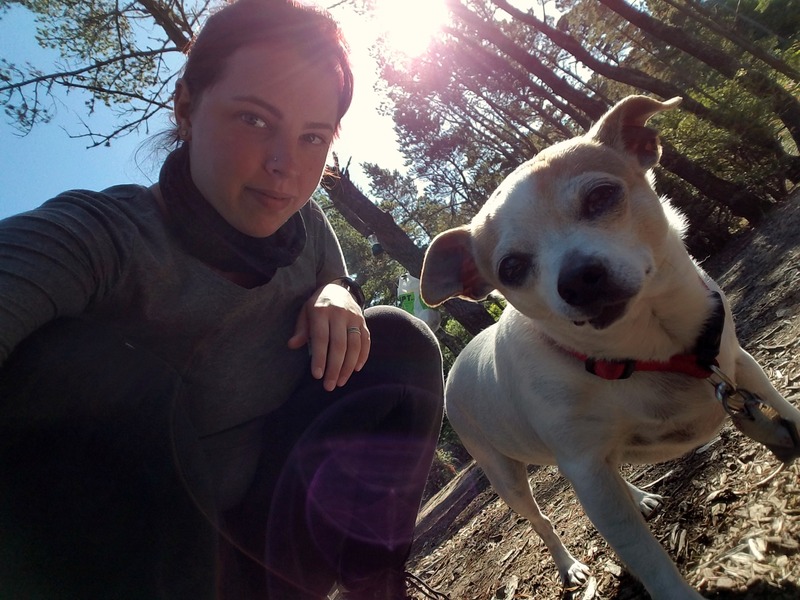 Both campgrounds are pet-friendly, and they offer ADA-accessible bathrooms and showers, firewood for purchase, and trails leading directly to the beach. For this trip, we set up camp at South Beach, just a mile south of Newport. Stretching along several miles of gorgeous coastline and boasting multiple loops with both powered RV-friendly and tent-friendly campsites, this is probably one of the nicest “developed” (as opposed to rustic) campgrounds I’ve ever seen. It’s very accessible for all campers, with paved trails, ADA-friendly facilities, and even an accessible boardwalk that leads to a viewpoint on the beach. The campground also offers bicycle rentals! The campground itself is set about half a mile inland from the beach and is much warmer as opposed to the open coast, especially once you factor in the strong wind blowing on the beach, so if you visit you’ll want to pack lots of layers so you can adjust your clothing throughout the day. We were in t-shirts and shorts in the camp ground but wore long pants, hoodies, and jackets on the beach. Make sure you bring sunscreen, because even if you don’t feel all that warm in the sunshine, you’ll still get a sunburn if you don’t use protection. Newport offers a Safeway grocery store (open 7 am to 10 pm) and Walmart (open 6 am to 12 am) for your shopping convenience, along with several gas stations. You can easily stock up on food, beverages, ice, and miscellaneous camping supplies. There’s also a Grocery Outlet, Fred Meyer, Walgreens, Oceana Natural Foods Store, and a Big 5 sporting goods store, in case you realize you left your tent stakes at home…several hundred miles away. On our first night at South Beach we decided to pack a bag and hike the half mile down to the beach to stargaze. After all, doesn’t a starlit picnic on the dunes sounds like something for everyone’s “top ten musts” on a coastal camping trip? The trail leads through trees and brush and across sandy dunes, and depending on your view could seem serene or downright creepy by night. 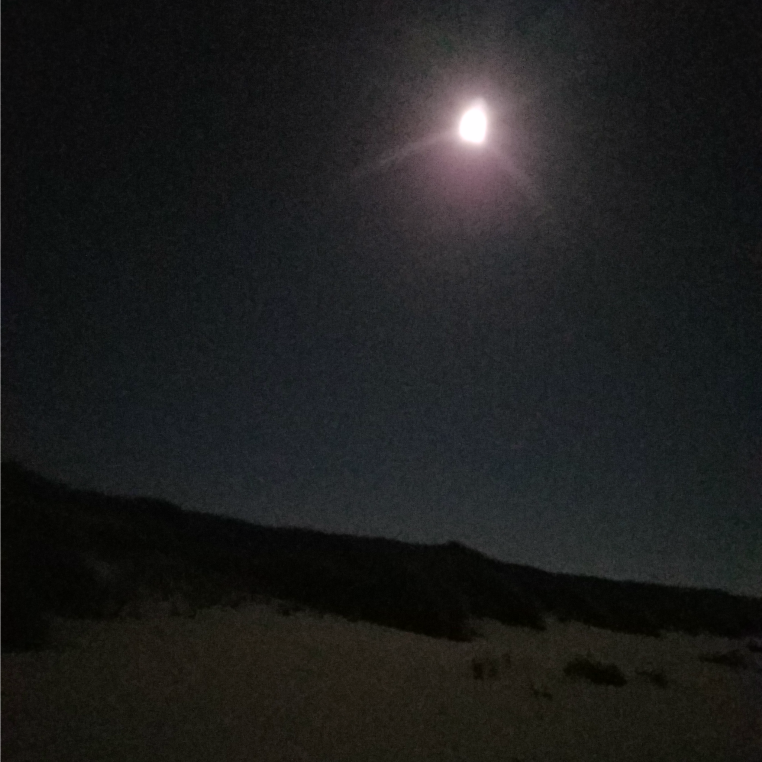 Since we had a full moon, we turned off the flashlight for the walk back, thinking we would just enjoy the night sky and the sound of the waves in the distance. Not far from the beach we stopped to look at the skyline of Newport down the shore. While we were admiring the lights the dune grass a few paces ahead of us began rustling loudly. I shone the flashlight into the darkness and it gleamed back from a pair of eyes low to the ground, less than ten feet away. My first thought was Whoa, that animal is a little too close for comfort, quickly followed by, Oh, I see ears and a nose. It must be a dog that wandered away from the campground. 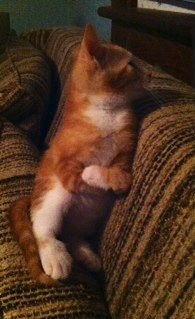 Then the animal stood up. 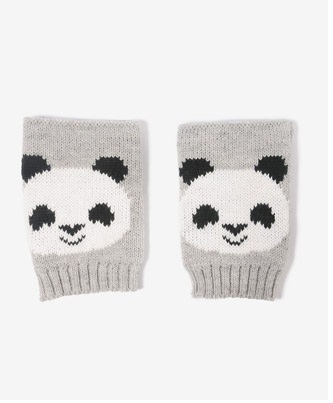 At which point all I could think was, Oh s—, that is a BEAR. Good news: the bear turned around and ran. Bad news: the grass next to us started shaking as a second large animal snorted and kicked up sand. We were facing two bears. Both bears took off, and we scooted back down the trail to the campground as quickly as possible. On my list of things to do at the coast, speed-walking away from bears on the beach at night is not recommended! I’ve always thought of bears as wandering the forests and mountains, and I knew about taking precautionary measures in those areas, but I’ve never heard of bears roaming on the beach! We thought it was no big deal to wander onto the beach at night near Newport, but when I talked to the rangers the next morning they said that bears are starting to pop up closer and closer to coastal towns as they forage for food. That means even a populous area like Newport is seeing bears roaming close to homes and campgrounds. So FYI, if you visit the coast, be aware that bears are starting to pop up on the dunes, and the rangers are starting to put up signs in the campgrounds cautioning campers about food and trash management and avoiding encounters with these animals. Finally, if you’re taking a multi-day tour of the PNW, you can follow I-90 from Missoula all the way across Idaho to Seattle, Washington (estimated travel: 475 miles, 7.5 hours). From there you’ll proceed south as described in #1 along the coastal highway 101 or down I-5 into Portland, Oregon. 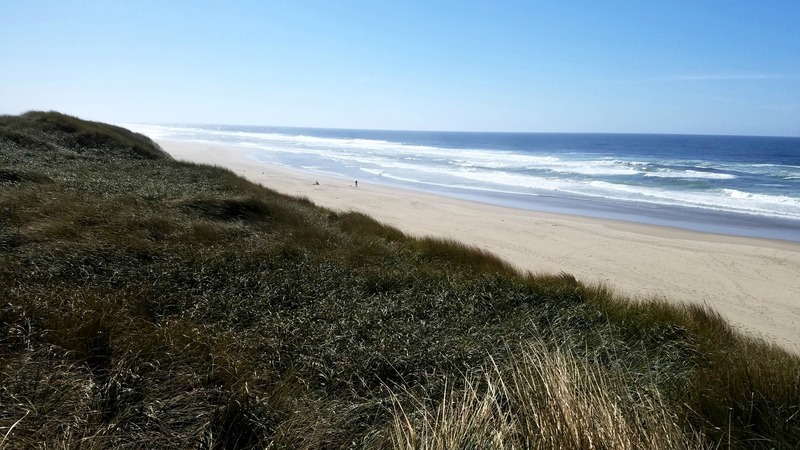 What are your must-see hotspots near Newport, Oregon? And what other coastal areas should I explore next (either north or south of Newport)? 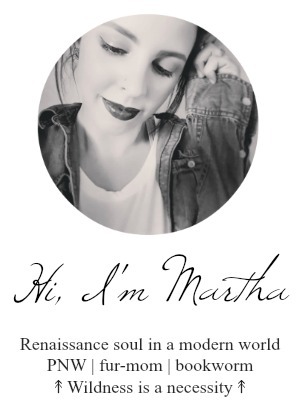 Let me know in the comments or shoot me an e-mail, I’d love to hear your suggestions! And make sure to check in throughout the week for more photos from our trip!